Cold weather also affects crops. In late spring or early fall, early arrival of cold air can damage or kill produce for farmers, as well as plants and flowers at your home or business. A freeze occurs when the temperature drops below 32 degrees F. Freezes and their effects are significant during the growing season. Frost develops on clear, calm nights and can occur when the air temperature is in the mid-30s. Each plant species has a different tolerance to cold temperatures. The polar vortex is a large area of low pressure and cold air surrounding both poles of the earth. It ALWAYS exists near the poles, but weakens in summer and strengthens in winter. The term "vortex" refers to the counter-clockwise flow of air that helps keep the colder air near the Poles. 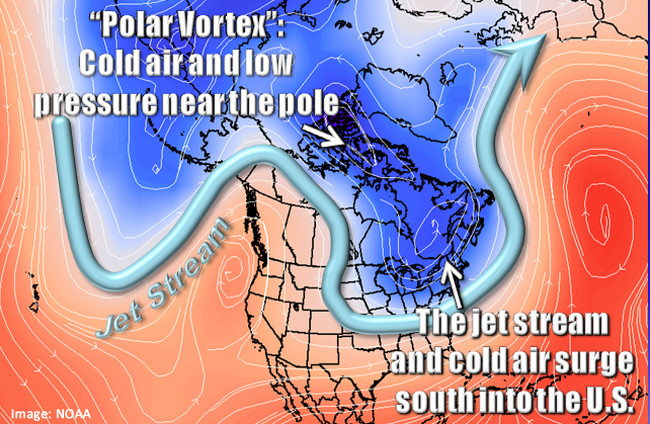 Many times during winter in the northern hemisphere, the polar vortex will expand, sending cold air southward with the jet stream (see graphic above). This occurs fairly regularly during wintertime and is often associated with large outbreaks of Arctic air in the United States. The one that occurred January 2014 is similar to many other cold outbreaks that have occurred in the past, including several notable colder outbreaks in 1977, 1982, 1985 and 1989. 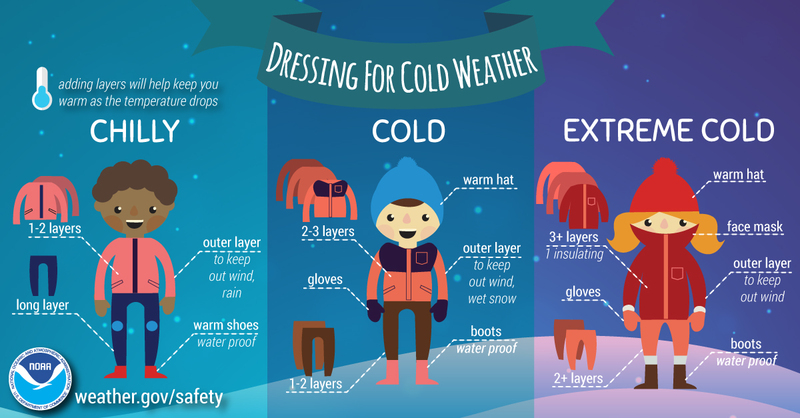 There are several things the polar vortex is NOT. Polar vortexes are not something new. The term â€œpolar vortexâ€� has only recently been popularized, bringing attention to a weather feature that has always been present. It is also not a feature that exists at the surface of the Earth. Weather forecasters examine the polar vortex by looking at conditions tens of thousands of feet up in the atmosphere; however, when we feel extremely cold air from the Arctic regions at the surface of the Earth, it is sometimes associated with the polar vortex. This is not confined to the United States. Portions of Europe and Asia also experience cold surges connected to the polar vortex. By itself, the only danger to humans is the magnitude of how cold temperatures will get when the polar vortex expands, sending Arctic air southward into areas that are not typically that cold.